Labor transforms you on every level of your being - turning you into a parent and giving you the power, self-reliance and confidence to care for a newborn. 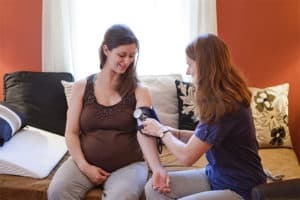 Most women have some fear or concern as their labor approaches, yet the naturally unfolding process actually enhances both your safety and the safety of your baby. Although labor is designed to be challenging, it is also designed to be completely doable.